A month rarely passes without a salute to a departed fannish friend, and December was no exception. And there were serious things to report in the aftermath of Hurricane Sandy. Still, the holidays put their usual imprint on the topics covered by File 770. There were sleigh-fulls of snark about The Hobbit. And fans were amazed by the does-Macy’s-tell-Gimbel’s? news flash that sf ebook pioneer Baen will begin selling through the Amazon Kindle store, too. 9. Baen To Kindle More Sales? Could an individual get a restraining order against Santa for stalking them? He does, after all, watch people all the time (both when awake and asleep), and keeps notes on them in the form of a list determining if they are good or bad…. We don’t think Santa’s behavior would meet [the New York] standard. People couldn’t have a reasonable fear of material harm because Santa has an unbroken record of hundreds of years of peaceful activity. It could be enough that he has actually caused material emotional harm to someone, except that the harm would have to be caused by contact or communication initiated by Santa. The problem here is that Santa doesn’t initiate communication; instead people write letters to him. Arguably he initiates indirect contact by entering people’s homes, but there’s no evidence that he enters homes where he is unwanted. In fact, staying up late to ‘catch’ Santa is traditionally considered to cause him not to visit. (2) Stylist has selected the 100 best – and, in some cases, the most iconic – first lines from favorite works of literature. The list is gratifyingly heavy on sf and fantasy. At #10 – Douglas Adams, The Hitchhiker’s Guide to the Galaxy; #11 – Franz Kafka, The Metamorphosis; #12 – J. K. Rowling, Harry Potter and the Philosopher’s Stone; #14 – Audrey Niffenegger, The Time Traveler’s Wife; #15 – J.R.R. Tolkien, The Fellowship of the Ring; #26 – Mary Shelley, Frankenstein; #30 – C.S. Lewis, The Voyage of the Dawn Treader; #32 – Lewis Carroll, Alice’s Adventures in Wonderland; #36 – E.B. White, Charlotte’s Web; #37 – Anthony Burgess, A Clockwork Orange; #41 — William Goldman, Princess Bride; #44 — Kurt Vonnegut, Breakfast of Champions; #46 — Iain Banks, The Crow Road; #47 — Douglas Adams, Dirk Gently’s Holistic Detective Agency; #50 — George Orwell, 1984; #51 – H. G. Wells, The Invisible Man; #56 – Arthur C. Clarke, 2001: A Space Odyssey; #64 – John Scalzi, Old Man’s War; #66 – H. G. Wells, The War of the Worlds; #71 – William Peter Blatty, The Exorcist; #73 – Ray Bradbury, Fahrenheit 451; #74 – Richard Matheson, I Am Legend; #81 – Kurt Vonnegut, Slaughterhouse-Five; #83 — Richard Adams, Watership Down; #93 – Lemony Snicket, The Austere Academy; #98 – Edgar Allan Poe, The Tell-Tale Heart; #99 – Barry Hughart, Bridge of Birds. Indeed, when you review their list you may decide there are even more titles that should be deemed sf/f. (3) ”NASA Johnson Style” [YouTube] is a “Gangnam Style” parody video from students at NASA’s Johnson Space Center – and it’s a high-tech hoot. (4) Introducing another year-end list Grantland’s Alex Pappdemas sagely explains: “We live in the ruins of what used to be a monoculture and we are never, ever getting back together. So we need things to fail abjectly, because it brings us together.” Carrying out his mission to help unite the world by listing the worst cinematic failures of 2012, Pappademas drops the names of multiple dodgy sf films. If nothing else, Battleship was the least-worst Taylor Kitsch movie of 2012, because Kitsch also starred in March’s John Carter, as a Civil War vet and treasure hunter who gets caught up in a war between a bunch of ridiculously named city-states (Zodanga!) after being transported to Mars. Edgar Rice Burroughs wrote the original John Carter tales so long ago that they were a crucial boyhood influence on Ray Bradbury, who died this year at 91; also, there hasn’t been movie money on Mars since the original Total Recall, which may be why this year’s Colin Farrell remake left out the Red Planet entirely. Works by 22 artists, including Ed Ruscha, Hans Burkhardt and Alexandra Grant, are also on view. “Delilah,” a ceiling-high tower of stacked books by Michael C. McMillen, stands precariously in the middle of the room. An adjoining 36-foot-wide wall is covered with 100 botanical drawings by New York artist Robert Kushner. He collected orphaned pages from flea markets and book and antique shops, then painted flowers and plants over the original text and diagrams. [Bilbo] is the Big Shebang, the Big Kahoonah in these here parts! …Hobbits eat 6 times a day and one of their mainstays are mushrooms. They don’t have green thumbs but they do have brown ones. Fortunately, a very well-made promotional video [YouTube] tips the balance back in their favor. I’ve been to see The Hobbit, though not as a human guinea pig for the 48-frame rate process — the most convenient screening for me was shown in 2D, 24-frame. As for the movie: I was pleasantly surprised that this rocking, three-hour epic kept me engaged all the way. No dull stretches, like in a previous stfnal marathon, The Postman, where I took a 10-minute walk in the middle of the film. The last half of the movie is largely a series of calamities orchestrated in CGI. There was more of that than I needed, partly because I felt I’d seen some of this action before and didn’t like it the first time, watching hordes of goblins chase our heroes through underground passages and over rickety scaffolding within the mountain in a mashup of the mine chase from Temple of Doom and the descent of the unbalanced stairs and landings in National Treasure. But I don’t say they should have done something different – the record box office speaks for itself – much as I found other parts of the movie more to my taste. Credit where it is due the technology, though, which is crucial to the movie’s dramatic meeting between Bilbo and Gollum, certainly one of the highlights. With further thought I might also be able to put into words my appreciation for the parallels between the Lord of the Rings trilogy and this first of the three Hobbit pictures. Consider, for example, what does it mean to be a king in Middle-Earth? Contrast Thorin Oakenshield’s obvious nobility and clarity about his role, a character Aragorn kept under wraps for two-and-a-half movies. Anyway, The Hobbit is a fair trade for the time and bucks required to see it. The big date is coming: the fifth anniversary of this blog. On January 15, 2007 I made my first post to the electronic File 770. Do you want to contribute to the celebration? Let me know. Something I’ll be doing ahead of time – on January 1 – is update the theme. You’ve been warned. So don’t go into shock when Big Blue switches to something new…! We were on vacation in Florida when I lost control of the right side of my body. I cannot see properly and I cannot move my right arm or leg. We are currently getting the extent of the damage sorted out and will report as further details become clarified. David currently writes X-Factor for Marvel. 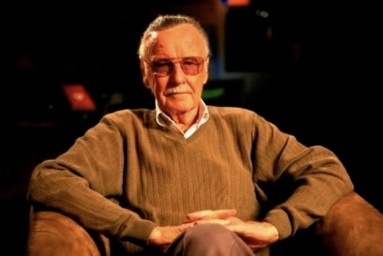 His comic book work has been crowned by an award-winning, 12-year run on The Incredible Hulk. He has written tons of other comics, and for TV — including one of the few non-Straczysnki scripts for Babylon 5. The annual Montreal sf convention Con*Cept was cancelled in 2012 and now its corporate parent, ConCept SF&F Inc., plans to hold a special general assembly on January 20 to entertain a resolution to liquidate. The notice came from Marc Nadeau, its Secretary-Treasurer. Con*Cept was founded in 1989 by a local club, MonSFFA. The club ran it from 1989 until 1992 and after that it became an independent entity (with many club members still working on it as individuals). When the con suffered a cancellation in 2000, MonSFFA revived the event and governed it from 2001-2003. It has been run by an independent corporation since then. The assembly is scheduled for the same date and at the same location as the next MonSFFA meeting. Despite the con’s previous history, I don’t know if anything should be read into that. Commenters on the original 2012 cancellation said fans had discussed launching a new sf con in Montreal in lieu of Con*Cept, and that in any case the city has other sf-oriented events that are continuing to be held. The award is named after Canada’s only Grand Master Science Fiction author, who was born in Manitoba. It includes a $1200 cash award and certificate. The award’s sponsors are the Winnipeg Science Fiction Association (WINSFA), Conadian, the 1994 World SF Con, and Science Fiction Winnipeg (SFW). The winner will be named by the end of the year. ESPN The Magazine primarily covers sports, so I was surprised to see a page in its recent “Hall of Fame” theme issue devoted to a list of miscellaneous pop culture halls of fame, two of which may be of interest to readers. (1) The Magic: The Gathering Pro Tour Hall of Fame, was created in 2005. This was the first I’d heard that the game had a Pro Tour, let alone a Hall of Fame, yet for some reason I still expected to recognize someone on list of inductees. I guess I’ve grown accustomed to finding fans in every niche activity ever spawned by the sf/fantasy genre, from running blood drives to competing in the Space Elevator Games. I looked particularly for Drew Sanders’ name, remembering how he used to preside over Magic games at the LASFS clubhouse. He even wrote an introductory article about collecting the cards in File 770. But no Drew. And I’ve never heard of any of others, either. (2) The Robot Hall of Fame began online. It was established in 2003 by CarnegieMellonUniversity’s School of Computer Science and honors both real and fictional robots. Then, in 2009, CarnegieScienceCenter in Pittsburgh incorporated a physical Robot Hall of Fame display into roboworld™, the world’s largest permanent robotics exhibit. Inductees to the Robot Hall of Fame in 2012, selected by popular vote, were Aldebaran Robotics’ NAO humanoid, iRobot’s PackBot bomb disposal robot, Boston Dynamics’ four-legged BigDog and WALL-E, the fictional robot in the Pixar movie. As for the Science Fiction Hall of Fame, transferred in 2004 from the GunnCenter for the Study of Science Fiction to Seattle’s Science Fiction Museum, not even Paul Allen’s money could sustain the place as originally conceived. For awhile the impressive Gehry-designed building near the Space Needle housed coequal science fiction and rock music museums. But the Science Fiction Museum was de-installed in 2011 and the EMP has been reorganized as a pop culture museum that includes science-fiction-themed exhibits. Thunderbirds creator Gerry Anderson died December 26 at the age of 83. He was diagnosed with mixed dementia two years ago and his condition “worsened dramatically over the past six months” said his son to Time Magazine. Anderson was a guest of honor at Intersection, the 1995 Worldcon in Glasgow. He was famous for “supermarionation,” using puppets to act out science fiction TV adventures, and it was an affectionately bestowed, enduring fame — just last year the Royal Mail set FAB: The Genius of Gerry Anderson as the theme of its first issue of 2011, featuring his shows Stingray, Joe 90, and Captain Scarlett on postage stamps. Anderson was also notable for Space: 1999, a live action sci-fi adventure that reportedly was the most expensive tv show made up to that time. Its not-especially-scientific premise was that the Moon had been hurtled into interstellar space by a thermonuclear explosion of nuclear waste dumped on the lunar surface. It starred Mission: Impossible vets Martin Landau and Barbara Bain. Gerry Anderson was made a Member of the Order of the British Empire in 2001.